Most people agree that a more peaceful world would be an ideal situation for all living creatures. If we are to have true peace in this world, each one of us must find it in ourselves first. If we don’t like ourselves, for example, we probably won’t like those around us. If we are in a constant state of inner conflict, then we will probably manifest conflict in the world. If we have fighting within our families, there can be no peace in the world. We must shine the light of inquiry on our internal struggles, because this is the only place we can really create change. 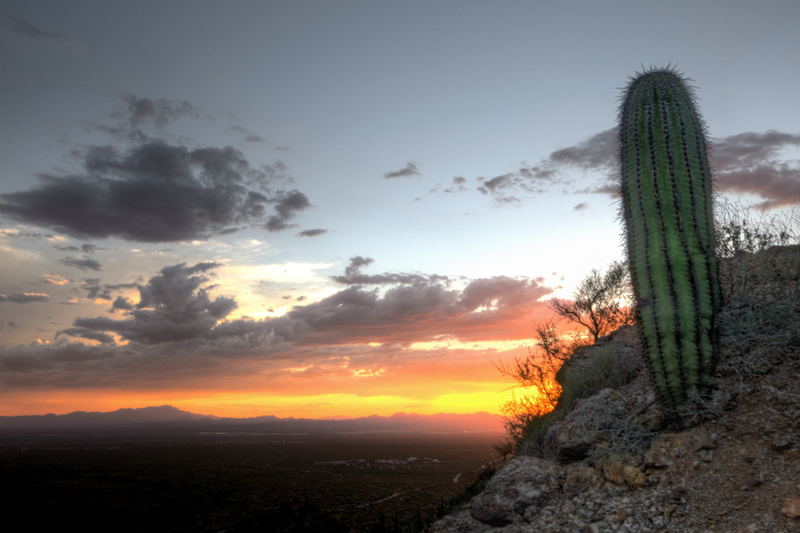 This is an image taken during sunset at Gate’s Pass just west of Tuscon, Arizona. The top of the Pass offers brilliant sunsets and is frequented by scores of people every evening when there is promise of a colorful sky. 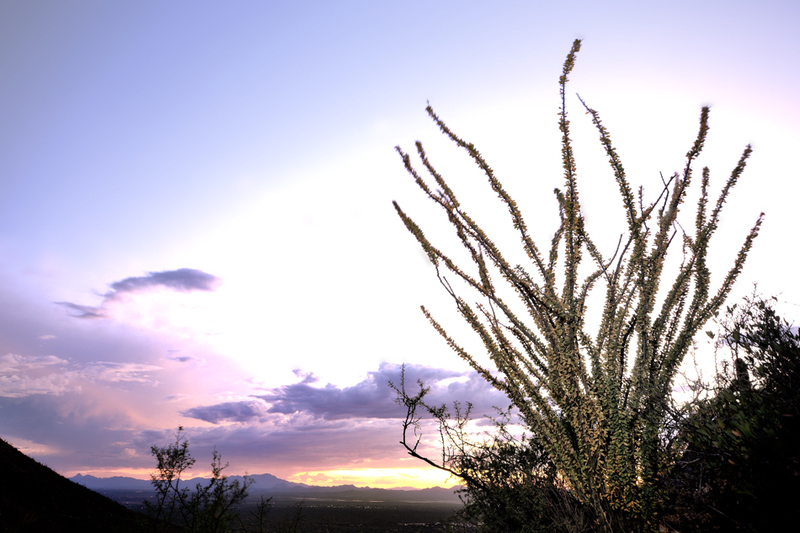 After a short hike, we came across this lone cactus which, along with us, overlooking the valley below and the splendour of the setting sun. To capture all of the light, we shot three exposures and later combined them with a speciality photographic software package called Photomatix Pro. We love the contrast of the lone, prickly cactus who watches the soft sunset with strength and fortitude, being at peace…just being. This was taken during the early morning hours after a trek up to see Devils’ Bridge in Sedona, Arizona. 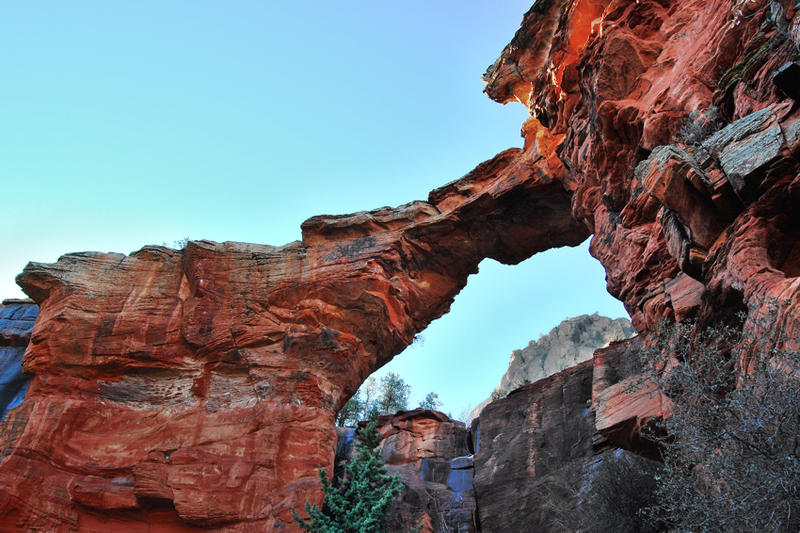 The morning sun was just beginning to light up this incredible red sandstone arch. 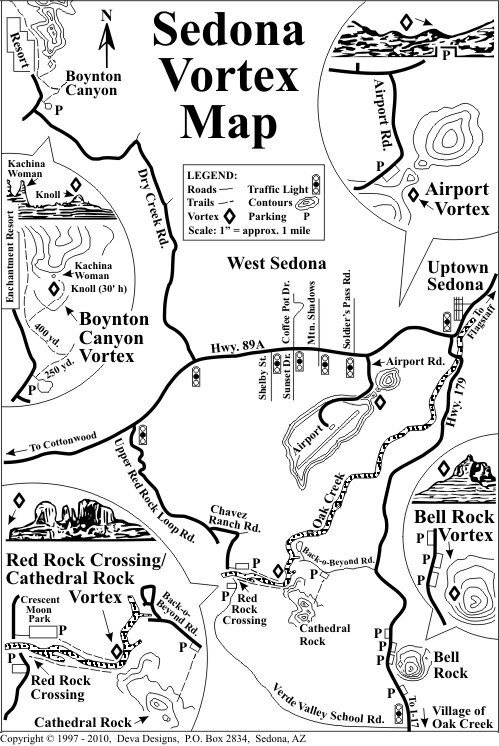 Sedona is a dream for Photographers and Hikers with hundreds of miles of well-marked trails, breathtaking vistas and of course, “Vortexes” as the locals call them.